Creative freedom & Bedhead Color Trip combined to create a vibrant color pallet. 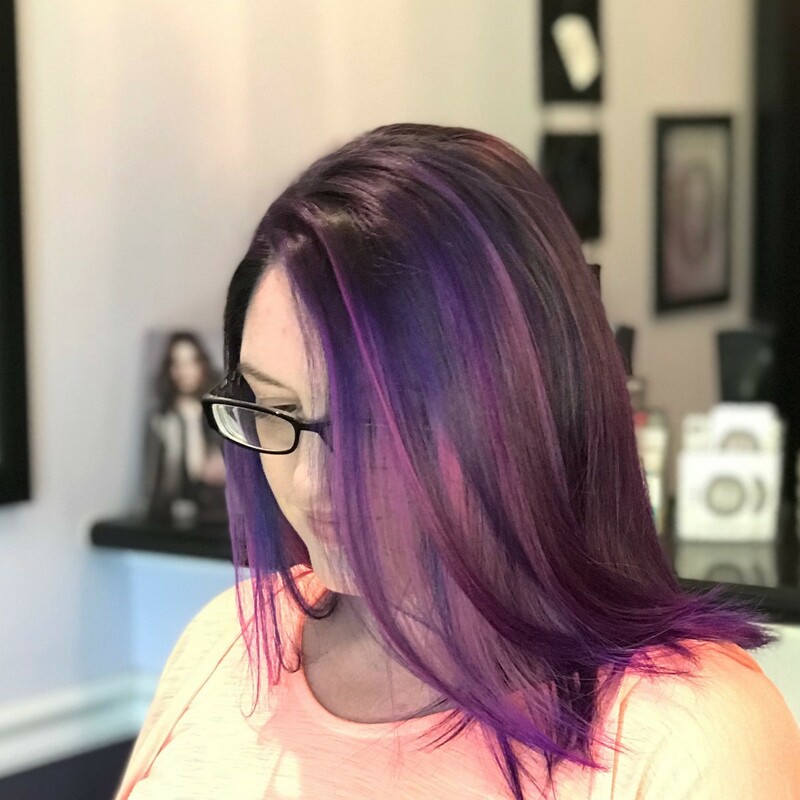 Violet, Pale Violet, Blue, & Pink intermixed create this kaleidoscopic transformation. Color & Cut by Erika Creston.